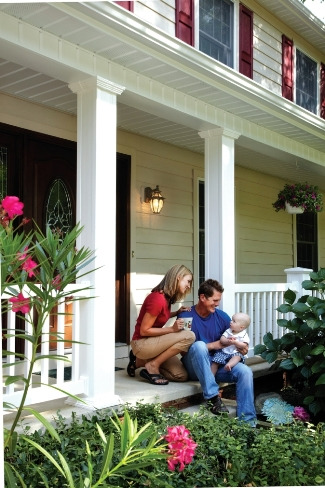 For Eastern New England homeowners looking for a smart and economical way to revitalize their home, Everlast Composite Siding is an excellent option. A worthy investment that pays itself off over time, the installation of this siding not only works to beautify the home but also has a myriad of other benefits that make it well worth the initial cost of investment. Those living in the Eastern New England area are familiar with the regions challenging climate conditions. What homeowners may not know is that house siding materials like Everlast siding were specifically designed to weather the severe climate conditions in places like New England and to save the homeowner from costly heating and cooling bills each month. 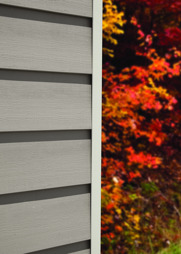 When it comes down to house siding materials, Everlast Composite Siding is the clear winner, hands down. A more sound investment than both vinyl and fiber cement siding options, Everlast is durable and gives a home an authentic wood clapboard look and feel. Impervious to the elements, such as rain, hail and other severe climate conditions, it also holds its own against water absorption and pests like termites. Aside from its durability and visual appeal, there are several color and style options from which to choose. The available color palette includes warm hues, such as Antique Ivory, Spanish Moss, and Misty Taupe, to more vibrant tones that include Cabernet Red and Harbor Blue, for those who prefer rich colors that pop. Another feature of this siding type is that it already comes pre-painted and is guaranteed to maintain that just-installed finish for decades to come. Regardless of the style of home, be it colonial, cape, ranch or contemporary colonial, Everlast Composite Siding has a style and color scheme that will give the home that aesthetic appeal that is sure to turn heads. Specially designed with these types of home styles in mind, whatever color the homeowner ends up choosing is going to bring out all of the best qualities that the home has to offer. Installing this high-quality siding is sure to raise the overall value of the home almost instantly, making it a smart investment solution for the savvy homeowner who wants to add value and appeal without compromising their budget. Interested in learning more about the process? Not sure which color or style fits best? Not a problem. Homeowners can use the Designer Tool right on the Everlast website, click here to use. This handy tool assists homeowners by helping them to visualize the different color options available. The online simulator offers all the available colors and home styles that are most common to the area. With colors and options specifically chosen to represent the Eastern New England style, homeowners can rest assured that the end product will be a genuine reflection of the local tradition and charm for which the area is widely known.